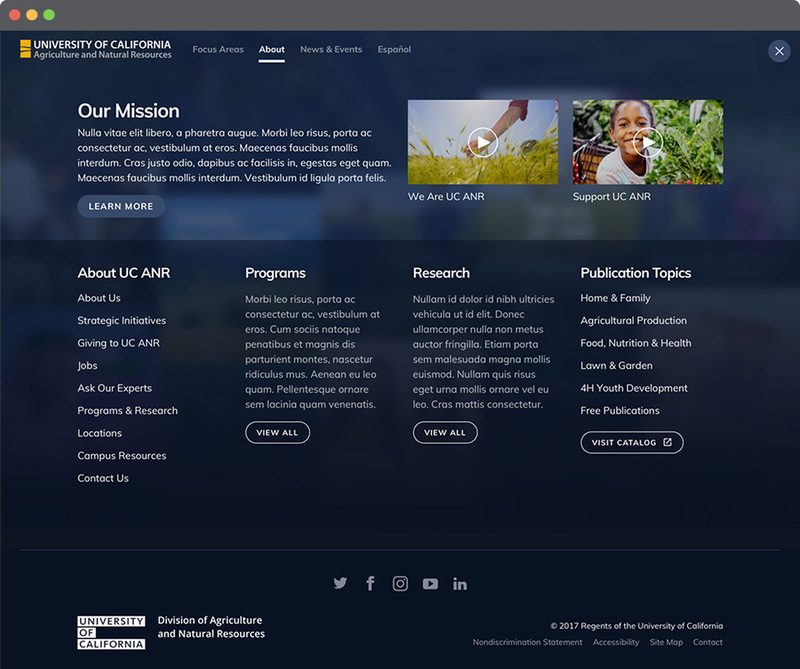 As part of the UX team at Breyta, we were tasked with the redesign of an .edu website for the University of California Agriculture and Natural Resources (UC ANR). 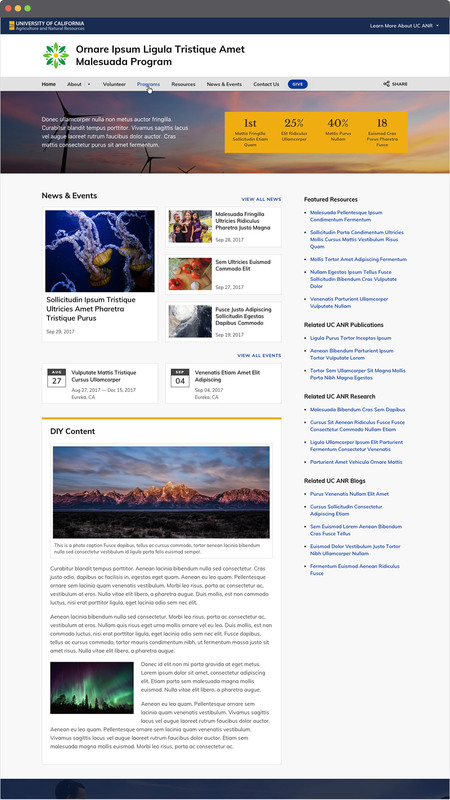 Our goal for the redesign was to clarify and communicate the role and importance of UC ANR and expose its impact on community, the environment and personal health. At the same time, we wanted to simplify the process of finding and accessing information throughout the site. I worked with the product manager and UX designer in creating a visual design solution that presented UC ANR as an organization that was current, consistent, trustworthy, relevant and influential. At the same time, the solution presented content in a design architecture that was easily accessible and maintain for both core communicators as well as the dozens of content managers responsible for focus areas within the organization.